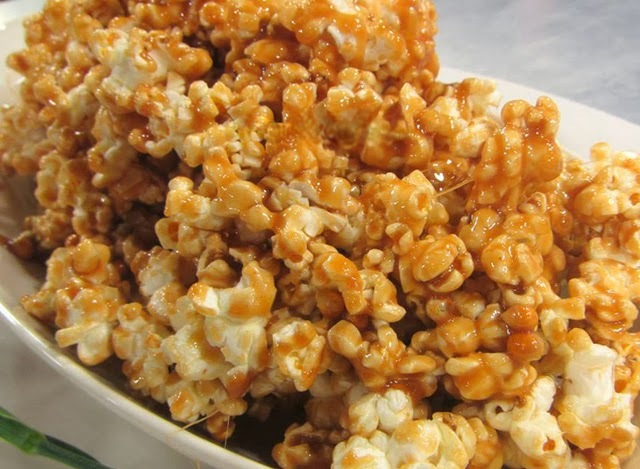 Homemade Caramel Popcorn is a tasty treat anytime and a comforting snack when you want something sweet and salty. It is surprisingly easy to make and also surprisingly addictive. You don't have to be a kid to enjoy caramel popcorn — although your kids will love these easy recipes, too. 1. In a saucepan, cook the brown sugar, butter, and corn syrup. Allow to come to a boil. 2. Add sweetened condensed milk and season with salt. 3. Allow to softly boil and be careful not to burn. 4. Pour the caramel over the popped popcorn. Mix with a wooden spoon and coat evenly.